Cannabis producer Organigram Holdings Inc. swung to a loss of $6.4 million in its latest quarter as its revenue soared in its first full quarter of adult-use recreational sales. The Moncton-based company saw revenue rise sharply to $26.9 million during the three-month period ended Feb. 28, up from $3.4 million a year earlier and topping estimates. However, Organigram's cost of sales also spiked to $10.9 million, compared to $1.8 million during the same period a year ago. Chief executive Greg Engel said various factors contributed to the increase in cost, including additional staff as it moved to round-the-clock production. He also cited Organigram's move to supply more pre-rolled joints, which are costlier to produce. "That was a strategic initiative of ours, there is a demand and an unmet need for pre-rolls out there... It's a way to get as much of our product in consumers' hands," he said in an interview. The marijuana producer is focused on the next phase of recreational cannabis in Canada — edibles — which are expected to become legal later this year, Engel said in a separate interview with BNN Bloomberg’s Andrew Bell. The company has ordered a chocolate molding line and additional packaging equipment for edibles and vaporizable products. “We see our expertise and our specialty in chocolate as a real differentiator, so that’s our core-first edible line that we’re focused on,” Engel told BNN Bloomberg. What matters most in cannabis producers’ quarterly results? Its latest revenue numbers beat street expectations of $23.77 million, according to analysts surveyed by Thomson Reuters Eikon. However, the cannabis producer's earnings per share fell short of analyst expectations. The company says its loss amounted to five cents per diluted share for the quarter, compared with a profit of $1.1 million or a penny per diluted share a year earlier. Analysts had expected earnings of one cent per share during the quarter. Shares of Organigram were down roughly 6.6 per cent on the TSX Venture Exchange in early afternoon at $8.78. The cannabis producer's loss came as sales and administrative costs rose to $2.6 million compared with $1.7 million a year ago. Sales and marketing costs rose to $3.1 million compared with $934,000 in the same quarter last year. Organigram's loss from continuing operations amounted to $6.4 million or five cents per diluted share compared with a profit of $1.2 million or a penny per diluted share a year earlier. 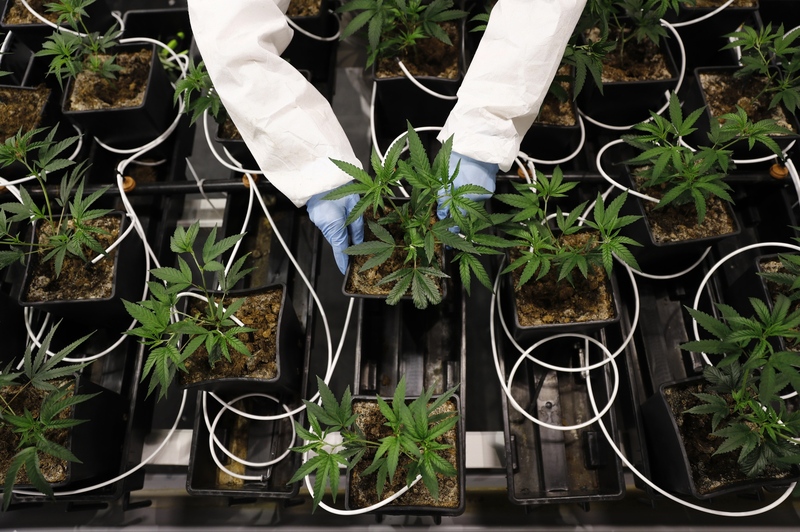 However, the company's profitability is "impressive" relative to others in the sector, said Jefferies analyst Owen Bennett, pointing to Organigram's adjusted earnings before interest, taxes, depreciation and amortization (EBITDA) of $13.3 million. "Q2 marks three consecutive quarters of positive adjusted EBITDA, which we expect to be viewed positively in the context of many peers who are currently loss-making or expected to be loss-making in the short term," Bennett said in a note to clients.